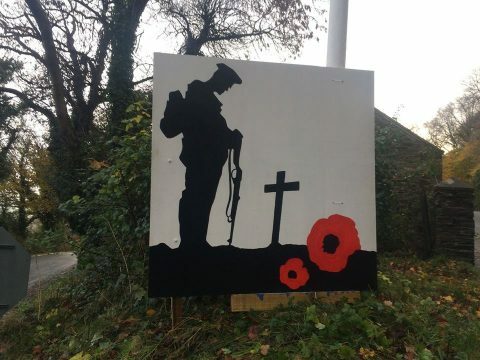 To mark the centenary of the ending of the First World War, the Commissioners have installed three commemorative benches and a new flagpole at the war memorial in Laxey Valley Gardens. The benches have been installed at Kirk Maughold, in Laxey Valley Gardens, and at Baldrine Park. 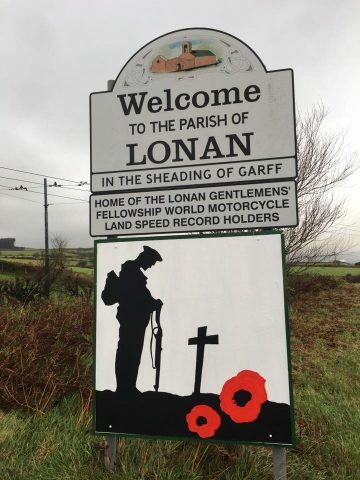 Special thanks to Julie Mattin at Cooil Roi for organising supply of the benches through her contacts with the Royal British Legion. 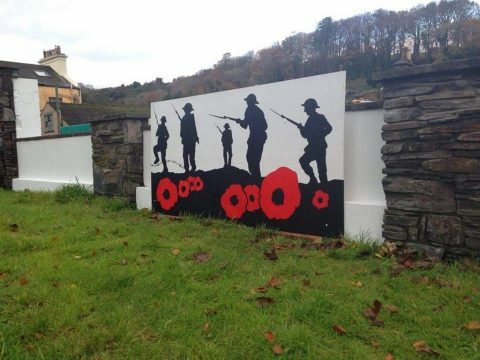 The Commissioners have also commissioned their staff to produce three commemorative installations which have been placed in prominent positions in Laxey, Lonan and Maughold. Thanks to Steve Partington and Sam Quilleash who created and installed these works.